Another beautiful hole. A challenging dog leg left overlooked by the enthusiastic clubhouse balcony. Tee off on the left side to hit out to the right of the fairway where there is more room. From there you will see the green. 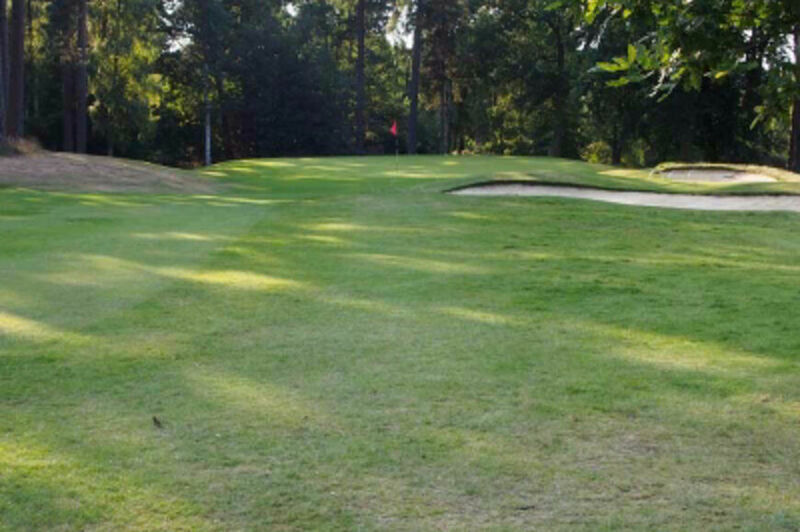 Club selection is vital as going over the back or hitting the ball to the right of the green will be costly.